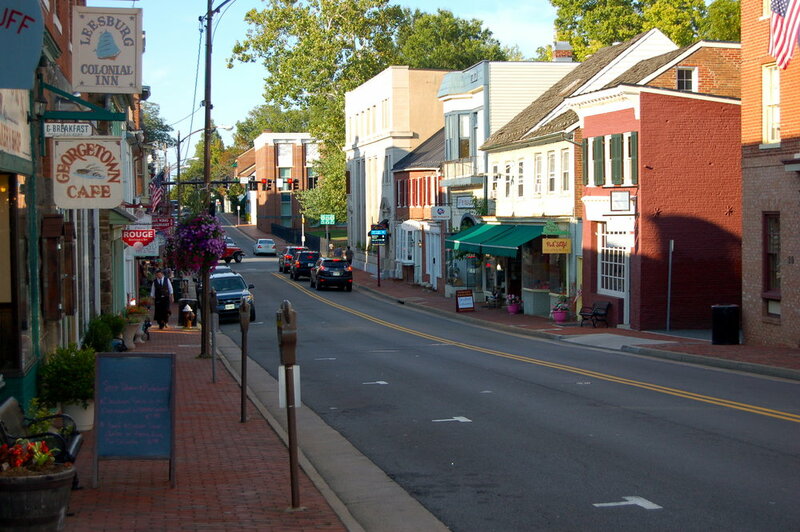 Located 33 miles west-northwest of Washington D.C., Leesburg is a historic town in Loudoun County, Virginia. 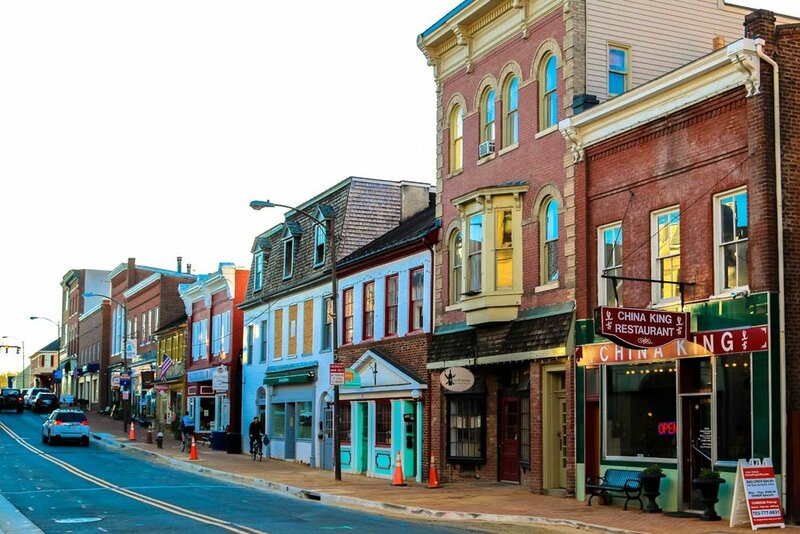 Leesburg is no longer a small, rural town and is now known as a suburban bedroom community for commuters to Washington D.C. as well as local business owners. Beginning in the late 1730s, European settlement made its way into the area and included some of the First Families of Virginia, the Carters, Lees and Masons. During the War of 1812, Leesburg served as a temporary haven for the United States Government and its archives (including the Declaration of Independence and the U.S. Constitution) after being forced to flee the Capitol by the British Army. When reconstruction began on the Capitol in 1815, years after the great fire, marble was used from quarries just south of Leesburg. Dodona Manor, the early 19th century home of George C. Marshall, a general and diplomat who received the Nobel Peace Prize. Morven Park, the estate of Virginia Governor Westmoreland Davis. Oatlands Plantation, a National Historic Landmark. White’s Ferry, the only ferry across the Potomac River, has its Virginia terminus just outside the town. It is a cable-guided car and passenger ferry. A ferry has plied the river from this site since 1828. 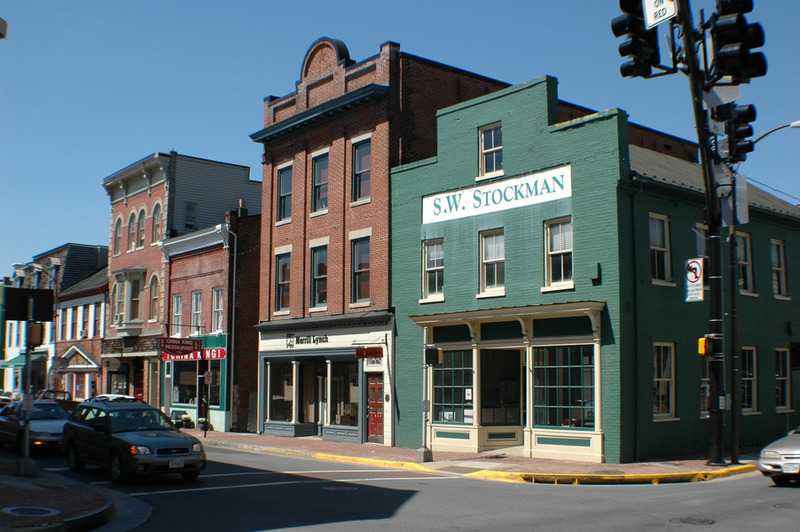 Census estimates as of July 1, 2013, showed the population of Leesburg at 47,673 people. Leesburg currently has three public high schools operated by the Loudoun County Public School system; Loudoun County High School, Heritage High School, and Tuscarora High School. Leesburg is serviced by the Volunteer Fire Company, Volunteer Rescue Squad, both of which have partial staffing from the Loudoun County Department of Fire, Rescue and Emergency Management. Leesburg is also served by a town police department. Ida Lee Park was created in 1986 when a farm owned by the Rust family was donated to the Town of Leesburg. Containing 141 acres, the Rusts requested that the park be named in memory of Ida Lee to preserve the historic link between the Lee family of Virginia and the Town of Leesburg. Ida Lee Rust was the daughter of Edmund Jennings Lee, first cousin of Robert E. Lee. Located in eastern Leesburg along the banks of the Potomac River, the park contains 67 acres of woodlands and over 2 miles of trails leading to bluffs along the river. Hikers, bikers and joggers can travel in and through Leesburg on the trail, a 45-mile long rail trail constructed on the historic W&OD RR’s right-of-way. Located at the foot of Catoctin Mountain, the sanctuary contains a mansion and a nature reserve. Held annually in April in the Historic District, the event includes garden displays, vendors and entertainment. Events include a morning parade, a festival at Ida Lee Park and evening fireworks. Held annually during the summer. This event features dozens of classic cars and hot rods in the streets of downtown Leesburg with music and food. Held in August in the Historic District, the focus of this event is to recognize Leesburg’s cultural heritage. Art, music and food held on the First Friday of the month in historic downtown. Said to be the longest-running Halloween parade east of the Mississippi River, the parade includes marching bands from the local high schools, floats made by local businesses, Scout troops and families, etc. This is the neighborhood for you!